A brand new, Feurich concert grand piano with a black case and polyester finish. Price is £19,550GBP at current exchange rates. Please check current exchange rates as price quoted in dollars may vary daily. 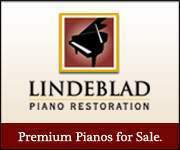 Besbrode Pianos Leeds is a specialist piano dealer and wholesaler occupying four floors of a Victorian mill in Leeds, UK. With over 200 new and secondhand pianos on display at any time, ready to play and compare, we are one of the UK's largest piano retailers. Agents for Steinway & Sons. 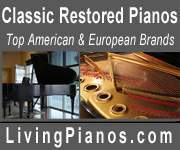 The full range of Steinway, Boston and Essex pianos available to purchase.